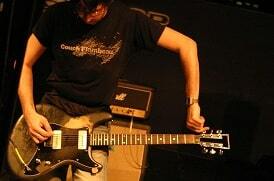 In 1970, Gary Kramer co-founded Kramer Guitars with his friend Dennis Berardi. Originally, Kramer started out making Aluminum neck guitars. By 1981 he abandoned the idea to follow Charvel’s trend with wooden neck guitars, which were also the first guitar company to offer Original Floyd Rose locking tremolo systems on their production guitars. Kramer began installing Seymour Duncan pickups in its guitars by late 1985, this was in favor over the more vintage-sounding Schaller pickups. 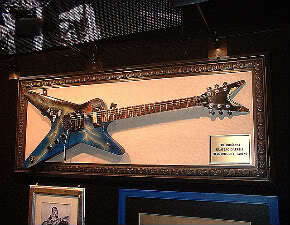 Kramer became the best-selling guitar in 1985 and 1986. 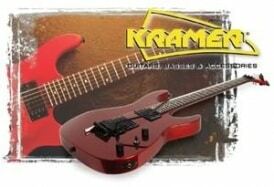 Regardless of Kramer having big name endorsements by guitarists such as Eddie Van Halen and Richie Sambora, Kramer came into financial problems due to spending large amounts of money on advertising and endorsements, in addition to Floyd Rose and Kramer having a falling out in the late 80’s, Rose sued Kramer over royalties, Kramer Guitars came to an end in 1991. advertising and endorsements. However, Kramer is back up and running now, owned by Gibson and basically existing for reminiscence sake. In 2005, Gary Kramer began working with Leo Scala to introduce a new line of guitars, Which will be manufactured under the name Gary Kramer Guitars. There is the unusual hash back to the 80’s with the USA Custom models as well as the Crusader Limited. Being a notorious and aggressive innovator, Gary Kramer has decided to take a bold step in guitar design and create something different. The Turbulence FX guitar isn’t only unique, it’s ergonomic with its imminent body shape, it also has a 6 point Bolt-on 7 string neck with 36 fretless frets while still maintaining a 25.5” scale. The “Delta Wing” body is Mahogany contoured surfaces and a detachable aluminum leg rest unit. 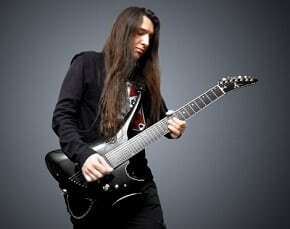 The guitar also has a recessed Tunomatic, direct mounted Bridge Alnico humbucking pickup, with string through design. Innovating? Indeed!